Our Scrap-Appliqué Playground blog tour has concluded. Sigh. I don’t know about you, but I had blast and a half. Most of the time I had not seen what the other bloggers were up to and it was a huge thrill each day to discover the wonderful things that had arisen from their creativity. 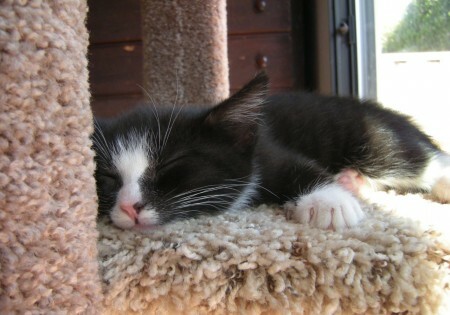 Foster kitten Freddie is resting up from the tour. As you can see we had winners from up and down and across North America. Isn’t the blogosphere great? Congratulations to the winners, enjoy the book! And a huge thank-you to those of you who followed the tour and said the most amazing things. You make me want to keep at it, and I owe you for that. Dana and I are off to North Carolina and Virginia for a week on a long-overdue visit with my folks and his folks. We’ll probably see some of that red clay that inspired the earth in Lollipop Grove! See you in a week! It’s the final day of our Scrap-Appliqué Playground Book-A-Round! I’m Kay, the author of the book, and If you haven’t been here before, welcome to my blog All About Appliqué! You’ll find lots of great information about appliqué here, all kinds, so be sure to take some time to poke around the Categories and use the Key Word Search. We end up our tour in my town of Santa Cruz, California, right on the coast between San Francisco and Monterey. I hope you’ve been having a fabulous time on our 10-day tour. I sure did! Weren’t the other bloggers fantastic? A big shout-out to all the gals who played in the Playground to bring us such great inspiration. 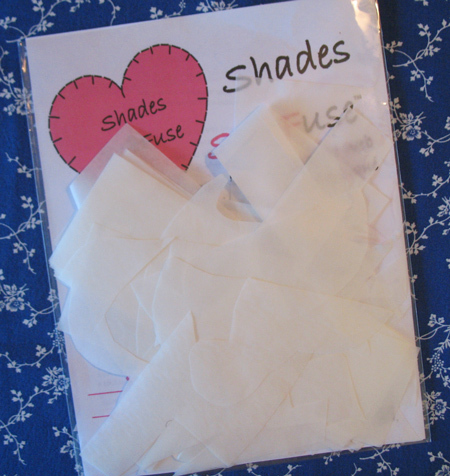 Most of the other bloggers have been showcasing the piecing methods in the book, so I thought I’d give you a peek at the fusing method. 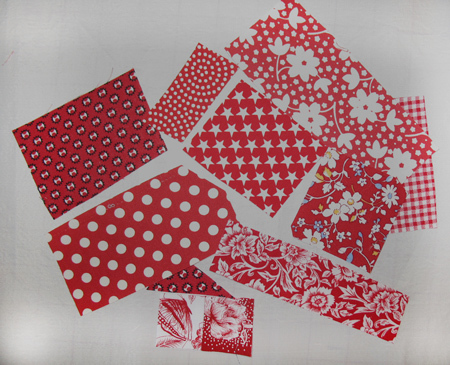 I call it “Lay Down and Fuse,” because that’s what you do… lay down pre-fused scraps and stick them together to create spontaneous fabric compositions. This is the project Imaginary Blooms from the book. My husband refers to this one as “Psycho Flowers” LOL. He’s having a hard time getting used to it, I think because it’s just so different than what he’s seen come out of my studio for the last 20 years. Personally I love it, because it’s so NOT me :). I had a blast cutting loose with these blooms from my imagination. Right now this looks like a hot mess. 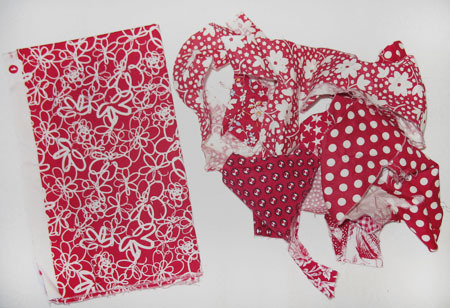 In addition to fabric scraps, pull out those odd little pieces of leftover paper-backed fusible that you’ve been saving. SoftFuse is my current favorite. Now I’ve pressed and pre-fused the scraps, and given them a fresh scissor-cut all the way around. I traced a freezer-paper template from the pattern in the book, scribbling inside it so I could more easily tell the positive space from the negative space. It will serve as both a cutting template and a sizing template. 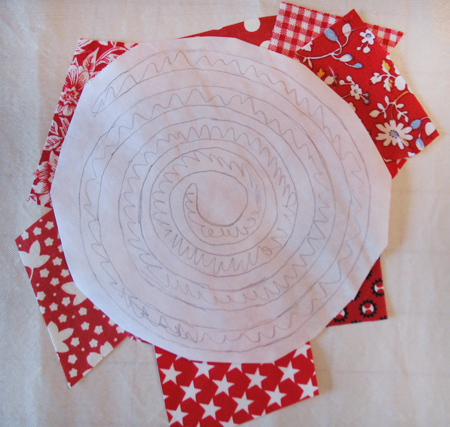 A quick flower center, and here it is, ready to fuse and stitch! So quick, and what fun! Scrap-Appliqué Playground takes you through the process in full detail. Courtesy of Martingale, I have a copy of the book to give away. If you’d like to enter the drawing, please leave a comment here on this post before 7:00 p.m. on Sunday, June 17. Tell me what you enjoyed most about the Book-A-Round! Heads up: If you’re subscribed by email, you can’t leave a comment by hitting the “Reply” button. Go to All About Appliqué on the internet and add your comment there, at the bottom of the post. Contest open to U.S. and Canada mailing addresses only. Good luck, and thank you all so very kindly for coming along on this journey with me. Welcome to Day 9! I hope you are enjoying all these peeks into the Scrap-Appliqué Playground. Today we’re headed down the coast of California to land in beautiful San Diego. 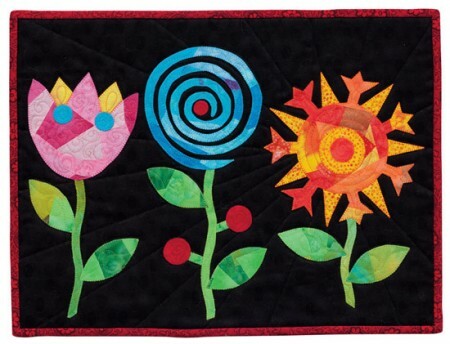 SewCalGal is a fabulous blog for quilting, sewing, and embroidery enthusiasts alike. You’ll want to take some time and explore the wealth of information presented there. Off we go to visit the SewCalGal to see what’s going on in the Playground! It’s Day 8 of our 10-day tour, and we’re not even jet-lagged! Today we’ll head all the way west to land in Hollister, California, a great little town not far where I live. There are some awesome quilters in Hollister, among them one of the most talented illustrators I’ve ever seen. Holly Mabutas of Eat Cake Graphics has a thriving rubber-stamp business in addition to being an appliqué designer with some of the cutest patterns in the business. Holly and her gorgeous collie mix, Tucker. Holly recently teamed up with quilting mystery writer Terri Thayer on a a unique eight-month web-based series that includes a block of the month plus a story of the month. How fun! It’s called Tales of the Quilt Shop. Let’s go see what Holly has been up to in the Scrap-Appliqué Playground, and good luck in the drawing! Holly’s blog Sprinkles of Thought. 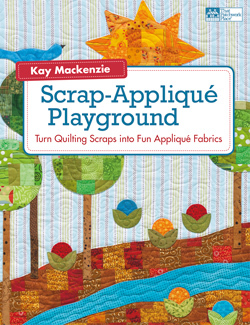 It’s the seventh day of our Scrap-Appliqué Playground blog tour. Today we fly through cyberspace westward to land in Louisville, Colorado, home of appliqué designer Erin Russek. The subtitle of Erin’s blog is, “A large helping of appliqué with a side of piecing.” Now that’s a gal after my own heart! Erin does the most gorgeous appliqué, and offers her patterns in either downloadable or paper form. Be sure to click on her beautiful pink-and-white “Visit My Shop” button while you’re there. Let’s go see Erin! I hear she’s playing around with the Barber-Pole Bias method. Can’t wait to see what she’s done! Erin Russek’s One Piece at a Time. Howdy! 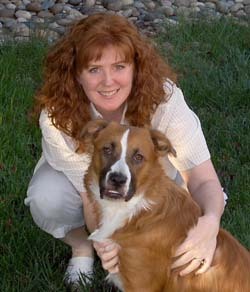 Today we take a very short hop over to Mooresville, North Carolina, to visit with Susan Brubaker Knapp. 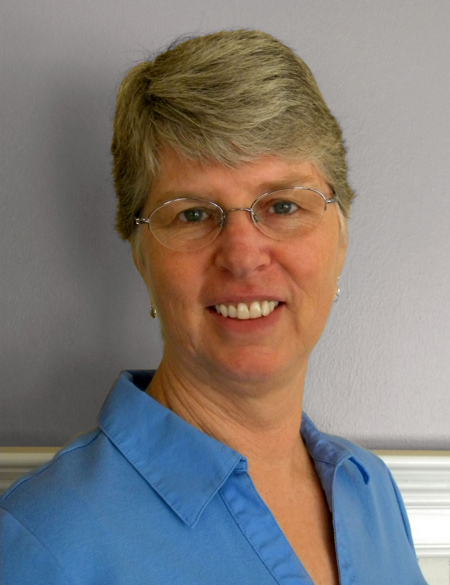 You’ll want to take a look at Susan’s beautiful work while you’re there. 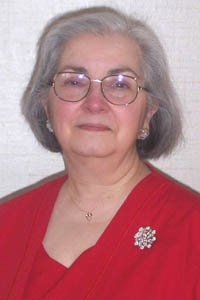 An accomplished art quilter, Susan is the author of Point, Click, Quilt! as well as several other books on quilt design, machine stitching, and machine quilting. Let’s go see Susan at her blog, Blue Moon River. 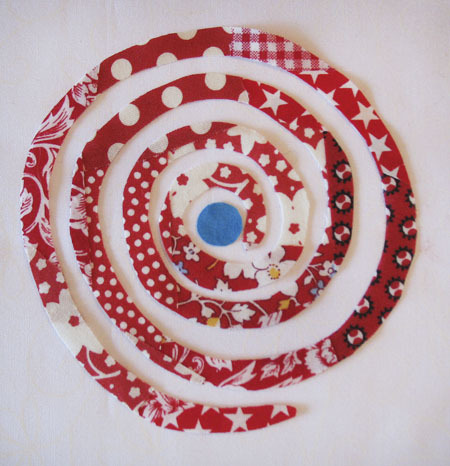 Welcome to Day 5 of the Scrap-Appliqué Playground Book-A-Round! 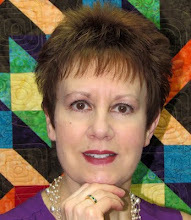 Are you enjoying your visits with other quilting bloggers? Today we’re headed to my home state of North Carolina to drop in on fellow appliqué enthusiast Carrie P.
Carrie has been a regular reader here, and with a name like A Passion for Appliqué for her blog, I couldn’t wait to ask her to join the tour! Over at A Passion for Appliqué, Carrie has some fantastic tutorials so be sure to take a look at those while you’re there. Carrie was inspired by the Pop Beads project from the book. Off to see what Carrie P. has cooked up! This is the way to travel! Today we’re taking a relatively-speaking short hop down to Mississauga, Ontario, to check in with Maria Hrabovsky. 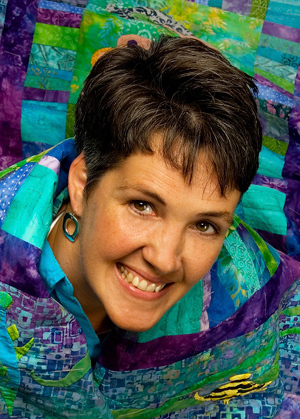 Maria is editor-in-chief of the fabulous on-line Quilt Pattern Magazine. 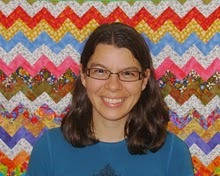 She also runs the website Quilts For Sale, so if you’d like to buy or sell a quilt, be sure to check that out. So click on over to Mississauga, just across the border from Buffalo and Niagara Falls, for a visit with Maria, who’s been playing in the Playground! My favourite (note the Canadian spelling :) ) quote from her post is “You’ll have great fun while virtuously using your scraps.” Good luck in the drawing for a copy of Scrap-Appliqué Playground! It’s the third day of our virtual Book-A-Round! Today we zoom eastward across Canada to land in Espanola, Ontario, where we’ll visit the joyful Sarah Vanderburgh. A little bird told me that Sarah did her own take on the Studio project from Scrap-Appliqué Playground. Let’s go see! Today we’re headed to Calgary, Alberta, Canada to drop in on Kim Jamieson-Hirst. Kim designs the cutest patterns, available at her Chatterbox Quilts Etsy shop, and is also quite the video star. You’ll need to check out her two video series, Fabric Fundamentals and Studio Setup. I’ve been quilting 20 years and I learned something new the first time I watched one! When I sent Kim her copy of Scrap-Appliqué Playground, she was immediately drawn to the Crazy Hearts project. Let’s go see how she’s put her own spin on it, and good luck in the drawing for a copy of the book! Heads up! You’re welcome to leave a comment here, but to be in the drawing, you’ll need to leave a comment on Kim’s blog. Welcome to the first day of the Scrap-Appliqué Playground blog Book-A-Around! 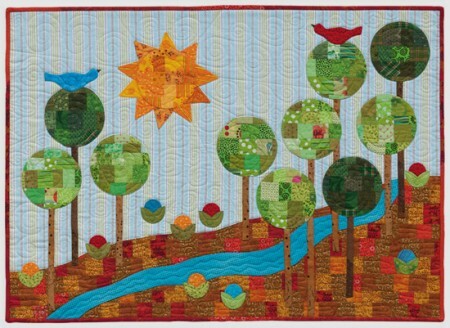 For the next 10 days we’re going to have a fabulous time zipping through cyberspace to enjoy a bunch of different quilting bloggers and their own takes on the methods and projects of Scrap-Appliqué Playground. Start here each day and I’ll send you off on your virtual trip to far-flung places. Each day there’ll be a chance to win a copy, so be sure to follow the whole tour! Today we’re starting off in Bothell, Washington, home of the book’s publisher Martingale and its quilting imprint That Patchwork Place. 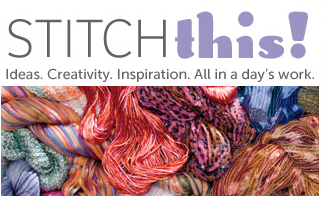 Martingale does a gorgeous blog called Stitch This! that a lot of the staff members contribute to. 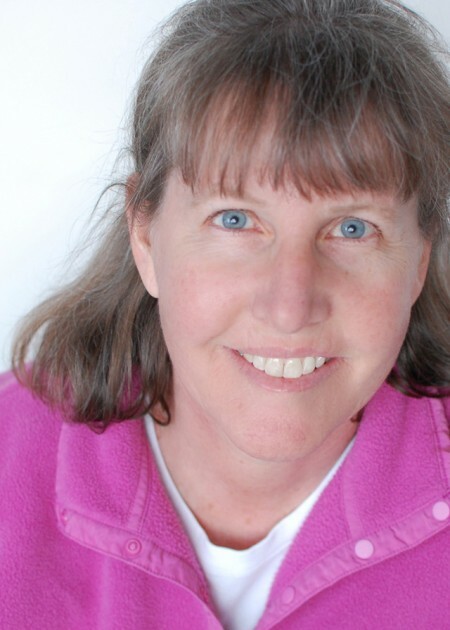 The High Webmeister is Jenny Wilding Cardon, Martingale content editor and a successful author herself. Today Jenny let me write a guest post at Stitch This! about how Scrap-Appliqué Playground went from idea to book. Go on over now! See you there! It was both wonderful and heartening to meet some regular readers over the weekend at the Beach Cities quilt show. It’s always a surprise and a delight when someone comes up and tells me that they enjoy the blog. It’s very validating and makes made me feel encouraged to keep on! Thank you so much. Well, after months of delicious planning and scheming, our Scrap-Appliqué Playground blog Book-A-Round starts Thursday! For 10 days we’ll zoom around cyberspace, visiting bloggers throughout the U.S. and Canada. If you’d like to see who we’ll be visiting, check the tour schedule on the Book-A-Round page. 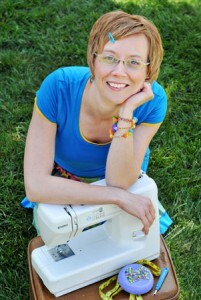 Each quilting bloggers has something fun to share about the book, so you’ll get a really good look into the Playground. Plus, there will be a chance to win signed copies throughout the trip! Start here at All About Appliqué every day through June 16 and I’ll send you on your way.